In stock - low quantity. Order in the next 17 hours, 38 minutes and it will go out today! 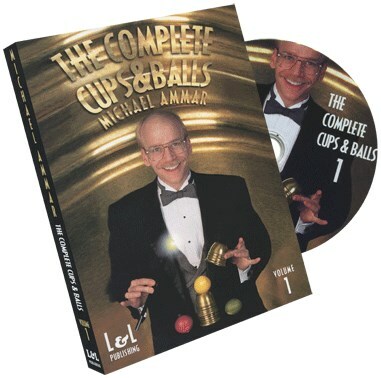 The DVD format is absolutely perfect for learning the Cups & Balls. Get to the move you're looking for with just a simple click, advance or rewind, frame by frame, to see every subtlety and nuance. From building blocks to blueprints, you'll be able to construct any type of routine needed! Plus-three cameras watch from perfect angles showing the exact timing, techniques and misdirection needed for confident performing.